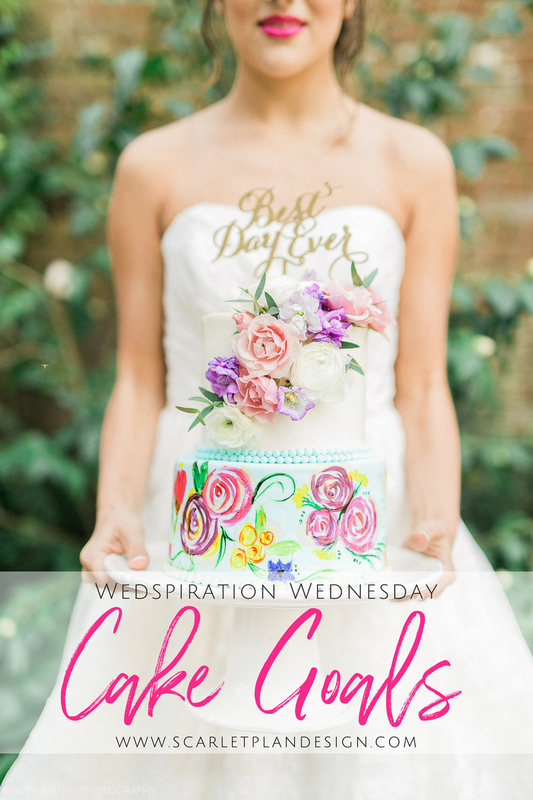 #wedspirationwednesday is all about that cake, cake, cake, cake, cake! 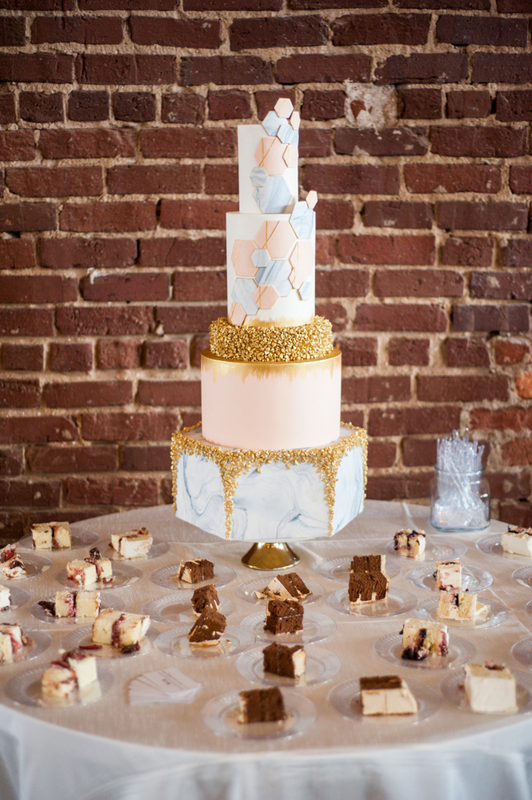 Get ready for some serious wedding cake goals! We're thrilled to share our Top 20 absolute favorite Scarlet Plan & Design wedding cakes with you today! Enjoy! As just about any wedding planner will tell you, going on wedding cake tastings with our clients is definitely a favorite perk of the job! We absolute love some of the unique wedding cake designs that our brides and grooms have served up at their weddings! From teeny-tiny elopement cakes perfect for just the happy couples or grandiose mega wedding cakes to share with hundreds of happy guests and even cakes that aren't even made out of "cake", each of our favorites brings something very special to the wedding reception. And the options are simply endless when it comes to creating a design that is perfectly unique for your own wedding! We're smitten with these trend-setting lovelies and hope you find loads of inspiration for your own Big Day! We've got fabulous geode wedding cakes, cakes covered in wild foraged greenery, traditional buttercream cakes with fresh flowers, hand painted watercolor cakes, cakes made entirely out of CHEESE WHEELS (OMG! ), pancake wedding cakes, rustic cakes and much much more! The bride & groom chose to serve their favorite family recipes and each cake was lovingly baked up by a family member!